Meet a broad set of density, performance and service requirements by employing refurbished Cisco 7200 series routers in your next network expansion or maintenance plan. Worldwide Supply can provide high-quality models that meet OEM standards — and your standards, too — to give you reliability and support that’s well beyond the end-of-sale and end-of-life dates provided by Cisco. Worldwide Supply provides you with the best used Cisco 7200 routers because our expert, certified technicians and engineers are able to return the equipment we stock to like-new quality. You save significantly compared to the original OEM price, and you can still get the full advantage of the industry’s most widely deployed universal services aggregation router for service provider and enterprise edge applications. Top benefits of our refurbished Cisco 7200 models include a broad set of connectivity options, significant serviceability and management support tools, improved VPN functionality through the CPN Services Adapter, enhanced scalability and the ability to aggregate services with up to 2 Mbps. Deploy its award-winning WAN edge, support up to 16,000 PPP sessions per chassis, switch between multiple Ethernet options and run your voice, video and data integration exactly how you need it. Worldwide Supply offers a comprehensive lifetime warranty for all of the used Cisco 7200 series routers and other refurbished equipment we provide. That’s how confident we are in our engineers’ capabilities. We buy and sell used Cisco 7200 routers to give you the right tools you need for your network, or to get one last return on that past investment. Contact us online now or call us directly at 888.328.22266 to learn more about purchasing, selling and warranty options from Worldwide Supply. Save even more when you use Worldwide Supply’s third-party Cisco 7200 support program designed to keep your C7204, C7206, and other 7200 series routers up and running for years to come, all while cutting as much as 50 to 90 percent off the original OEM maintenance plan pricing. 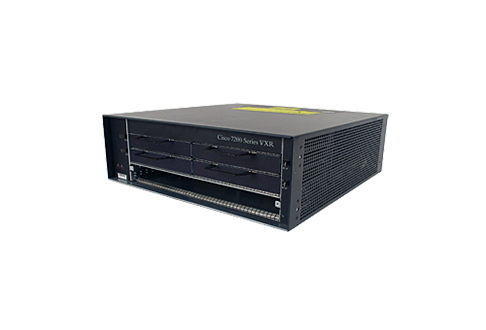 You trust Worldwide Supply for refurbished C7200s and other networking gear. So we’re bringing those same engineers and experts to the table to provide third-party Cisco 7200 support to manage your maintenance and repair needs as well as push updates and upgrades when they become available. With a Cisco-focused program as well as our NetGuard solution, covering more than 100 product lines from various OEMs, we deliver the options you need to help your network grow affordably through the smartest ROI on purchases and protection. Cisco equipment is designed to last for years and we consistently see routers live on well past their EOL dates. Give your C7200 its best chance at making it to the next decade with a robust service program designed with Cisco in mind. Worldwide Supply experts bring more than 30 years of experience to the table to fix, test, repair, maintain, monitor and protect your network. Discover how good 24×7 worldwide parts and service feels.